StorePep is the dynamic solution to all your shipping needs. Packed with features that allow you to display real time shipping rates at checkout, generate and print shipping labels and manifests in the blink of an eye, and design custom shipping plans, StorePep offers you the speed and flexibility you need to grow your business. 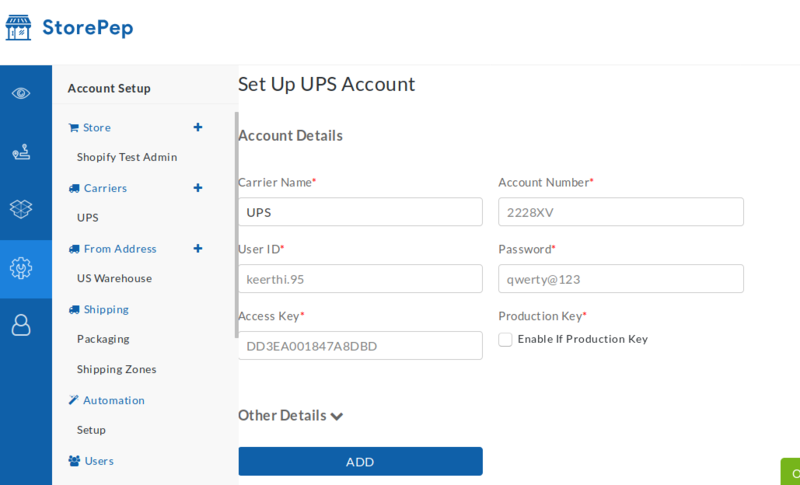 Before we can move on to our primary objective of integrating UPS shipping into your Shopify store, you must first ensure that your StorePep account is up and running. Read our step by step guide on integrating your Shopify store with your StorePep account here. Head on over to the UPS website and sign up for a profile. This video will guide you through the process of setting up your very own UPS Developer Account. Once you have your account in place and have completed the necessary steps, you can then switch back to your StorePep account. From your Shopify dashboard, navigate to ‘Carriers’ and click on the ‘+’ sign next to it. You will get to choose from a number of carrier options including DHL, Fedex, and UPS. Click on UPS. Key in your UPS Account Number, User ID, UPS Password, and Access Key in their respective fields and click on ‘Add’. You UPS carrier integration is now complete. Your customers will have access to real time shipping rates offered by UPS at the time of checkout, saving you the hassle of having to manually check and update the price every time. 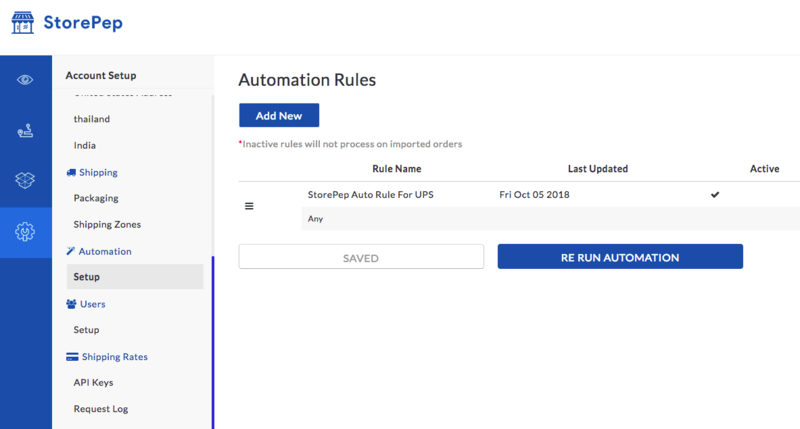 StorePep’s Automation Rules even allow you to customize the carrier options that you want displayed to the customer at the time of checkout. 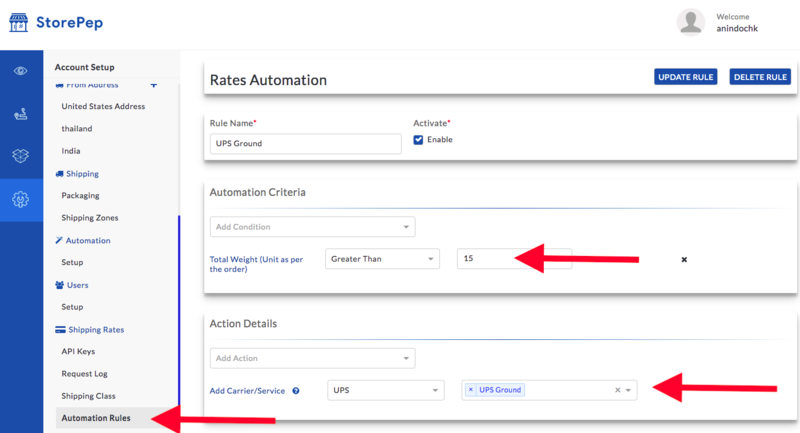 For example, in case you want to provide the ‘UPS Ground’ option only for shipments weighing more than 15 lbs, you can achieve this by tweaking the ‘Automation Rules’ in the ‘Shipping Rates’ menu. Simply create a new rule for the particular carrier or service of your choice and click on ‘Add Rule’. Services on offer can even be changed based on a number of factors including Quantity, Weight, Price, etc,. On the StorePep dashboard, check for the ‘Processing’ tab. 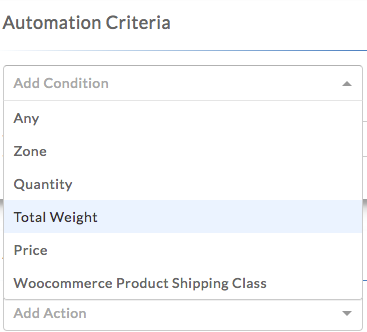 Simply select the order and click on ‘Create Label For Selected’. 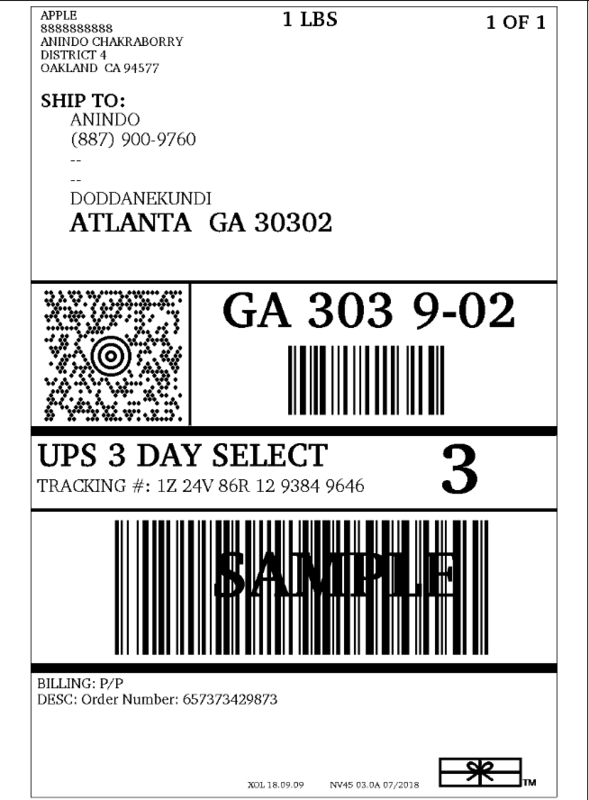 A print-ready label will be auto-generated for you. You can print these out by navigating to the ‘Label Batch’ option. You can even create and run automated rules that define the way your labels are generated based on certain parameters of your choice. Once the labels have been generated and printed out, you can request for a UPS pickup for your Shopify store orders from the ‘Label created’ and ‘Label Batch’ sections on your Storepep account. 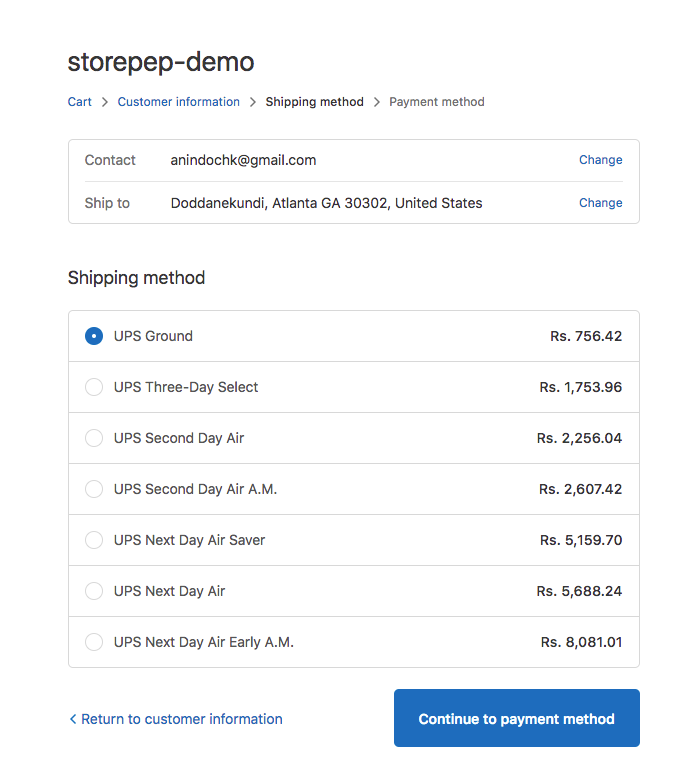 Manifests for all your Shopify UPS orders can be generated, viewed, and printed from the ‘Manifests’ tab on your StorePep dashboard. 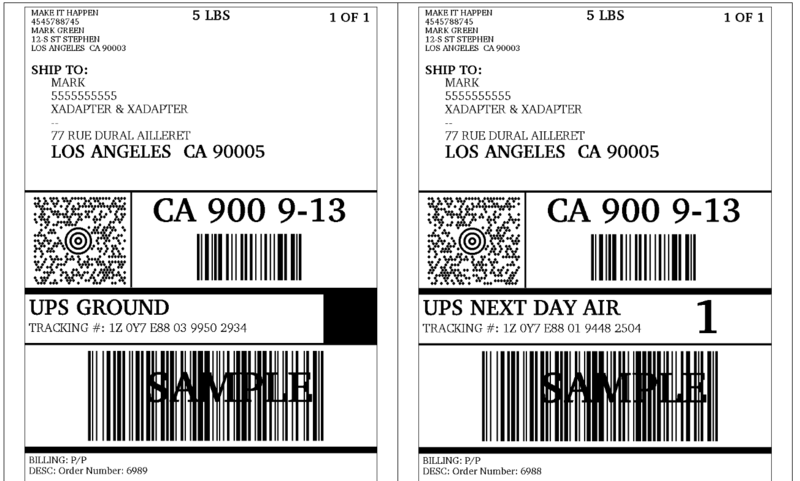 StorePep consolidates and provides you with the real time tracking status for all your UPS orders in one place. No more chasing down different leads individually in order to stay on top of your business. We, at StorePep, are commited to providing a one stop shipping solution to all our customers. No matter what your platform, we have you covered. If you still have questions, fill out our contact form and our agents will get in touch with you shortly.